Conrad Bain was born February 4, 1923 in Lethbridge, Alberta Canada.Â Wryly humorous Canadian character actor Conrad Bain was all wrapped up in such athletic pursuits as hockey and speed skating when, in his junior year of high school, he suddenly became fascinated with acting. He studied at Alberta’s Banff School of Fine Arts, served in the Canadian army during World War II, then resumed his training at New York’s American Academy of Dramatic Arts. He worked at the Stratford (Ontario) Shakespeare Festival and in live television before scoring his first real success in the 1956 Broadway revival of Eugene O’Neill’s The Iceman Cometh. In the early 1970s, Bain began popping up in such New York-based films as Lovers and Other Strangers (1970) and Woody Allen’s Bananas (1973). He gained national fame in the TV role of stuffy next-door neighbor Dr. Arthur Harmon on the Norman Lear sitcom Maude (1974-78). He has basically retired from the business since Diff’rent Strokes ended in 1986.Â In 1987, he was in the short-lived Fox series, Mr. President, where he was the chief advisor to George C. Scott in the series. He appeared as the grandpa in the 1990 movie, Postcards from the Edge.Â In addition, he did a guest shot as Mr. Drummond on a May 20, 1996 episode of the “Fresh Prince of Bel Air” along with Gary Coleman. 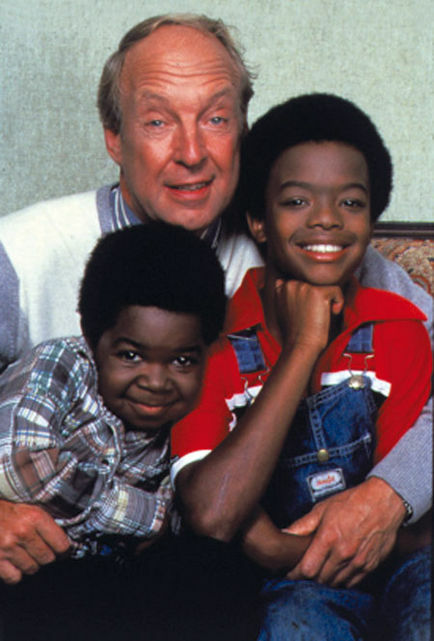 In 2004, he was interviewed for the special features for the first season DVD release of Diff’rent STrokes. He has been married to Monica Sloan since September 8, 1945 and has 3 children.Â He has an identical twin brother named Bonar Bain who occasionally guest starred on tv series with him. He lives in Los Angeles. Posted in Actor News, Odd News, Odd Stuff & News, Off Topic.